With chronic conditions such as COPD, many people spend a significant amount of time in the hospital, whether for COPD exacerbations, or complications of other illnesses. While nobody enjoys this home away from home, there are things you can do and items can you bring, which may help your stay feel just a bit cozier. Certainly, everyone is different, but here is a list of 10 important things to bring with you when you are admitted to the hospital. With the anxiety that comes with heading to the hospital, many people find that they forget a few of the things that would have made the admission process a bit easier, and later wish they had brought that special book or a list of phone numbers. You may even wish to partially pack a bag—leaving less to gather when the time to head to the hospital arrives. During the admission process, you will be asked to provide the hospital with the following legal documents. Having these documents available right away can help you avoid repeated visits from admitting during your stay. Health insurance cards - Make sure you have your most up to date cards on hand, especially if you have had any changes in insurance. As a quick note, at the time of admission, you may want to make sure the staff has your most current information. It's all too common to have hospitals bill a former insurance company based on hospital records, leading to headaches as you work to straighten this out later on. Copy of power of attorney, living will and/or advance directive (if applicable). Providing the hospital with a list of important phone numbers will ensure that family and close friends will be notified in the event of an emergency. Be sure to include complete names and phone numbers, including area codes. It's also very helpful to have these numbers for yourself. Whether you find yourself needing to call a relative whose number you haven't memorized or need the number for an airline to cancel a flight, you'll probably be very pleased that you took the time to pack your address book. While it is best to leave credit cards at home, a small amount of cash will allow you to purchase a newspaper or other items from the vending machine. To avoid the possibility of theft, keep money in an inconspicuous place, like a sock or tied bandana. Remember too, that you may be required to wear a heart monitor or have an IV while in the hospital, so loose clothing is best. When you check into the hospital, don't forget your glasses if you wear them. You will be required to sign consent forms and other hospital documents which may be impossible to read without them. Too many people find themselves in the hospital with time to finally read that novel, but can't because they left their readers at home. Many hospitals do not allow cell phones, so bringing a prepaid phone card will help you stay in close contact with family members and friends during your hospital stay. While many hospitals supply basic toiletry items such as a toothbrush and toothpaste, they are usually of lower quality and may be undesirable to some patients. Bringing your own toiletries may work best for you, especially if you use items such as a conditioner or hair gel. don't forget items such as deodorant, lip balm, and a razor. One woman found that the most distressing thing about her hospitalization is that she forgot to pack her tweezers to pluck those pesky chin hairs that appear with menopause. If you style your hair, you may also want to grab your curling or straightening iron and a hairdryer. 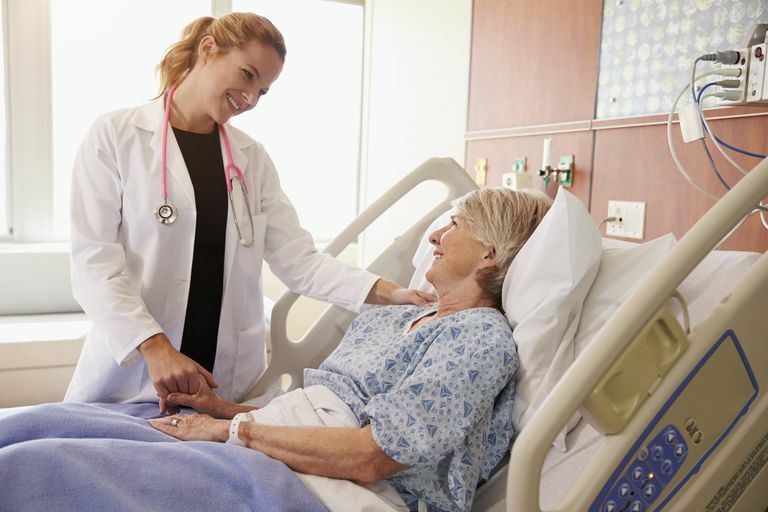 Early on in your hospitalization, this may seem like a low priority, but as you get nearer to discharge you'll likely be wanting to spruce up a bit. This can be especially helpful if you're feeling discouraged about your health. Sometimes, investing a moment in your outward appearance at that point can help you feel a bit better inwardly as well. Surrounding yourself with family photos will help keep those who are closest to you near and dear during your hospital stay. They will also remind the hospital staff that you are a real person, and not just a medical record number. If you are bothered by lights, bringing something to cover your eyes with during rest or sleep will help you remain undisturbed should the lights be turned on. A set of earplugs also work well if you are sensitive to noise. Remember, most hospitals will advise you during the admission process that they are not responsible for personal belongings that are lost or stolen during hospitalization. With this in mind, it is best to leave valuable items, such as jewelry, wallets or purses, at home. Brien, S., Lewith, G., and M. Thomas. Patient Coping Strategies in COPD Across Disease Severity and Quality of Life: A Qualitative Study. NPJ Primary Care Respiratory Medicine. 2016. 26:16051.